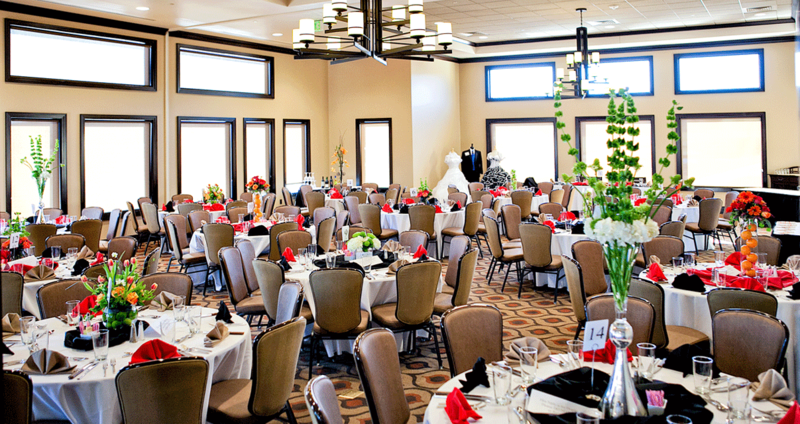 The Club at Prescott Lakes offers a beautiful setting for meetings and social events. Whether it's a corporate meeting, Holiday party, or a family function. The Club at Prescott Lakes understands that planning your event requires a commitment of both time and effort, and we are here to help every step of the way. We are happy to help you with all of your important details. From decorations and room set-up, to menus and seating arrangements; our expertly trained staff will listen to your every need, offer suggestions and provide you with an exceptional level of service. From elegant sit down dinners to casual company luncheons, our menus will help ensure your events success. It would be our pleasure to introduce to you The Club at Prescott Lakes! Call us today and allow us to assist you with all of your event needs.